Who employs anthropologists, and why? This is one of the first questions students ask themselves when they consider majoring in anthropology. When people think about what anthropologists do, they focus on academic teaching and research, but actually anthropologists are employed in a wide variety of jobs. According to the American Anthropological Association (www.aaanet.org/profdev), businesses, academic institutions, and nonprofit organizations hire anthropologists. Many businesses — including Intel, Citicorp, AT&T, Kodak, Sapient, Hauser Design, Boeing, Motorola, Walt Disney, Microsoft, General Mills, and Hallmark, to name a few — hire anthropologists to do research on consumer habits and develop strategies to promote their products. Anthropologists also work in the health professions, and Alabama graduates have gone on to careers with the Centers for Disease Control (CDC), Turning Point (domestic violence and sexual assault services), and Brewer-Porch Children’s Center (treatment program for Alabama’s special needs children). Archaeologists find careers in cultural resource management with institutions and companies such as the National Park Service, the National Forest Service, Bureau of Land Management, U.S. Army of Engineers, State Historic Preservation offices, and private consulting firms such as Panamerican Consultants, Inc. in Tuscaloosa. The following table shows a few of the career fields in which anthropologists find work. Translation Genetic Counseling Education etc. It’s the anthropologists’ job to explain the subtleties of daily life in past and present cultures to a wide audience. We study such diverse groups as displaced immigrants, people with HIV, ancient commoners and divine kings, and modern people who speak dying languages. Rather than assume we know what makes people tick, we conduct detailed, on-the-ground studies. In this way, we avoid making assumptions and over-generalizations. To disseminate this information to a wide audience, we must write and speak effectively. In fact, some anthropologists have become successful authors of both fiction and non-fiction for the general public including Michael Crichton, Ursula LeGuin and Kurt Vonnegut, Jr. Anthropologists use a holistic approach, which means that they take into account as many variables as possible to explain human phenomena. Thus we see the big picture. This skill is not always emphasized in other disciplines. For instance, engineers are trained to look at technology, while anthropologists are trained to look at all the ways that different people use technology. This approach requires gathering, integrating, synthesizing and analyzing data. 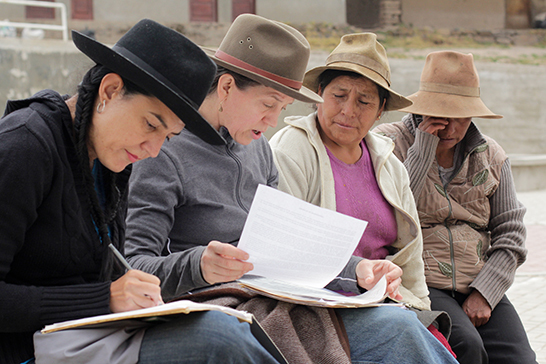 Anthropologists conduct both qualitative and quantitative research methods. We keep detailed records, make systematic observations, interview people, locate and excavate archaeological sites, do statistics, and think critically. For instance, Disney hired a team of anthropologists to help it rejuvenate its appeal to a stagnating audience: 6-14 year old boys. Boys tend to be less open than girls in regular surveys, making anthropological methods better for understanding their interests. The result? Disney created a new television channel, Disney XD, tailored toward the interests of boys. Disney has also seen a 10 percent increase in male viewership. Much of our research is funded through grants. Therefore, anthropologists are good at grant and proposal writing. Once we have research money, we must adhere to budgets. UA’s archaeologists have been awarded grants from the National Science Foundation grants, National Geographic, Wenner-Grenn, and many more organizations. In sum, anthropologists research, write and talk about every aspect of the human condition. We love what we do, because life and research go hand-in-hand. We write grants, organize complex projects, and disseminate our knowledge to a wide audience. These skills are critical for success in many different careers. According to some career advisors, the biggest job rewards go to those whose intelligence can be applied to novel situations and new directions, not to those who are locked into a single marketable skill. Google was started with the help of anthropological linguists who understood how people use words to communicate ideas. Today, you find anthropologists in every field imaginable. American Anthropological Association Sites on Careers in Anthropology: This is an excellent site that explains what anthropologists due, and discusses career opportunities in anthropology, presented by the principal professional association of the discipline. It also provides hyerlinks to current positions available. Prof. Jim Bindon’s Guide to Careers in Anthropology: A UA anthropology professor’s PowerPoint guide to careers in anthropology. Contains good advice for composing resumes that highlight the skills acquired by anthropology majors. What Can I Do with a Degree in Anthropology? from Northern Kentucky University: A very useful guide to careers in anthropology authored by Sharlotte Neely. Lots of links to specific job opportunities. Frequently Asked Questions About a Career In Archaeology in the U.S. compiled by David L. Carlson of Texas A & M University. New Breed of Detectives: UA Medical Anthropologists Seek Links Between Society and Health, from the University of Alabama Research Magazine Online. Medical Anthropology: The Search for Knowledge: An article about career opportunities for medical anthropologists in the journal Unique Opportunities, The Physician’s Resource.